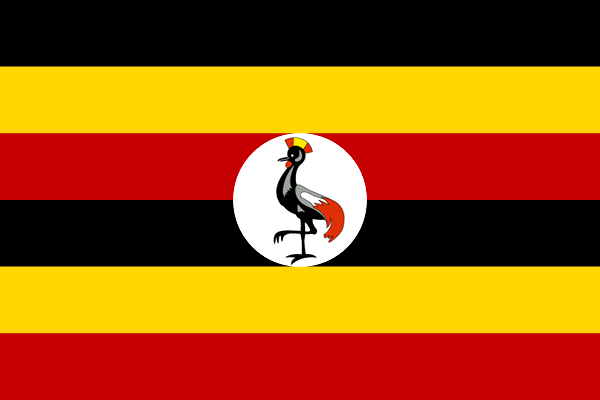 Under-five Mortality Rate: 53 deaths per 1,000 live births (Uganda ranks 43 of 193 nations). Source: UNICEF SOWC Report. Human Development Index (HDI) for 2016: 0.493 (ranked 163 of 188, indicating low human development). Source: UNDP, Human Development Report, 2016. ChildFund International has been working in Uganda since 1980, operating development as well as emergency relief and disaster mitigation programmes, focusing on children and their families. ChildFund has established relationships with international, national, and community-based organisations, academia, private sector partners and central and district local governments. 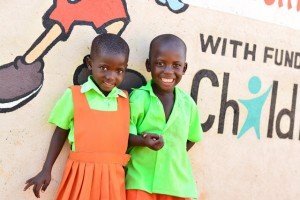 ChildFund International’s Uganda programme is part of the global alliance for children driven by children’s inherent potential to thrive, free from abuse and exploitation. We focus on working with children from birth to young adulthood (0-24 years old), as well as with families, local organisations and communities globally, to create the environment children need to thrive. Currently, ChildFund Uganda operates in 36 districts, covering 48 communities through nine Local Partners, with support from over 1,500 community-based volunteers and 700 home-based caregivers. Healthy and Secure infants: ChildFund supports interventions focused on maternal and child health, including: constructing and equipping health centres; organising and conducting public health campaigns and outreaches; and providing community education support in water and sanitation, child nutrition, immunization, safe motherhood, malaria prevention, and positive living for HIV/AIDS affected families. Educated and Confident Children: ChildFund’s interventions for children and young adolescents ages 6-14 focus on improving learning and using the child friendly school approach. Some of the initiatives include organising child rights and readers clubs; implementing participatory school governance; supporting teacher development; and providing child friendly learning facilities by constructing libraries, classrooms, houses for teachers and sanitation facilities; and providing learning and instructional aides as well as extra curricula activities like counselling desks, talking com-pounds, sports, music, dance and drama; promoting improvement in school governance; and supporting the continuous assessment of children’s performance in schools. Skilled and Involved Youth: ChildFund provides a wide array of opportunities for youth to become young adults, parents and leaders who bring lasting and positive change to their communities. Interventions such as training in life skills and vocational skills (apprenticeship training and business skills development), sexual and reproductive health education and services, sports, civic engagement and others help make a healthy transition from youth to adulthood. Further, business capital and start-up kits, organising youth groups around income generation, and offering vocational skills training in welding, motor vehicle mechanics, carpentry, tailoring, and catering provide opportunities for youth to fulfil their potential and become fully participating citizens. In addition, ChildFund Uganda spearheads child and youth leadership forums that help youth find and use their voice through policy advocacy to address youth issues that are critical to advancing their progress. ChildFund interventions in the financial year (FY) ending June 2017 benefited 16,294 children age 0-5 years and their caregivers (8,634 female, 7,660 male) in supported communities around the country – through various child development support interventions – maternal child survival and health-related support, child protection, positive parenting education and household economic strengthening. Of these, 6,663 participants (3,382 female, 3,281 male) were from ChildFund-sponsored families. Child verification conducted in November 2016 confirmed that 99 percent of sponsored children in the supported families and communities meet their basic health needs. 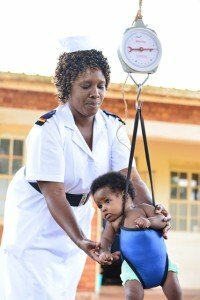 ChildFund Uganda reached 7,240 parents/caregivers (2,884 male, 4,356 female) through sensitisation on the management of childhood illnesses, the benefits of institutional delivery services, HIV counselling & testing, immunisation, antenatal care (ANC) outreaches, family planning in hard-to-reach areas. The agency assisted 1,315 pregnant and lactating mothers with ANC and family planning services. Through existing district immunisation programs and facilities, 2,068 under-five children (1,013 males, 1,055 females) received immunisation. Over the past year, ECD related interventions by ChildFund implementing partners have substantially contributed to a steady improvement in access to ECD learning program among age-eligible children in the supported communities from 37 percent in 2013 to 53 percent in 2016. A total of 7,266 (3064 male, 4202 female) parents/ caregivers were sensitised on the value of ECD and management of transition. Of these, 1,214 (486 male, 728 female) children in ChildFund supported ECD centres graduated to grade one in the previous year. A community survey conducted within ChildFund supported communities in November 2016 revealed that 53 percent of primary caregivers of children 0-5 access information related to parenting education on a monthly basis and 53 percent are also supportive to their children’s learning and development. A total of 237 lower primary school teachers were trained on ECD and transition management of ECD children. Six ECD centers were constructed and two renovated, while four were equipped with water and sanitation facilities (point water access facilities and latrines). To facilitate children’s learning, ChildFund Uganda provided assorted learning and play materials to 48 ECD centers, which benefited 3,811 children (1,966 females and 1,845 males). Kyankwanzi District while one borehole was drilled in the Ikwera Community in the Dokolo District. Twelve pump mechanics and Water User Committees were trained on safe water chain and they in turn sensitised communities, thereby improving access to safe water to approximately 700 house- holds in these communities. As a mechanism to ensure primary school readiness for children transitioning from ECD Centers, 124 primary school teachers received relevant refresher training geared towards promoting child- centred learning. Also, 24 teachers were trained in orthography use. A total of 115 schools were provided with readers and Newspapers in Education/pass Primary Leaving Examination to enhance learning for 15,554 school-going children (7,837 females and 7,717 males) across ChildFund- supported communities. Compared to the national average of 93 percent (Uwezo, 2016), Child- Fund’s child verification assessment conducted in 2016 in supported communities (households) revealed that 98 percent of school-going age children are attending compulsory education pro- grams – an increase of 3 percent compared to the results of 2015. This achievement shows appreciable program effectiveness on education outcomes within the supported families. To equip caregivers with the knowledge and skills to manage productive enterprises, ChildFund- supported projects trained 3,712 parents/caregivers of school-going children (2,240 females and 1,472 males) on Income Generating Activities (IGAs) selection, group dynamics, financial literacy and leadership. A total of 2,959 of these caregivers (1,826 females and 1,133 males) were supported with IGA inputs to facilitate implementation of business plans. In addition, 204 young parents and caregivers (136 females and 68 males) were trained on Artisan and business skills for IGA with technical support from identified institutions/private sector actors. A total of 101 village agents provided financial mentorship and coaching support to 106 VSLA groups reaching 2,028 caregivers of school- going children (1,653 females and 375 males) participating VSLA groups. Additionally, 683 (377 females and 306 males) were trained in livestock and agriculture production. A total of 157 cattle/ animal dispersal committees were instructed to ensure effective monitoring and management of livestock pass-over to new participants. As a contribution to global efforts and national investment in adolescent health, ChildFund Uganda supports youth to practice healthy behaviours, form positive relationships, access essential services, and live free from sexual exploitation and abuse. Our approach to sexual and reproductive health considers the individual young persons, specific supported families (caregivers), communities and schools in which young people live. Sexual and reproductive health (SRH) interventions were extended to children and young adults plus their caregivers. A total of 12,482 enrolled children of school-going age participated in the annual general medical checkups. The activity enabled these children to access information about their health status, prevent illness, and promote healthy behaviours as a strong foundation for adulthood. Also, 4,381 pupils in ChildFund-supported primary schools were reached with life skills messages through peer-to-peer sessions, peer educators and senior male/women teachers. Similarly, 2,332 children and young adolescents benefited through community-based training in life skills and SRH issues. A total of 2,383 primary school pupils were trained on menstrual hygiene and the use of locally sourced materials to make simple and cost- effective reusable sanitary pads. During FY17, ChildFund Uganda’s programs served 30,092 youth and young adults ages 15-24 (14,697 females and 15,395 males) with various interventions. Of these, 7,831 (3,807 females and 4,024 males) were enrolled children. A total of 789 youth (385 females and 404 males) were trained in business skills development, enterprise selection, financial management and environmental sustainability. Relatedly, 361 youth (178 females and 183 males) benefited from vocational and business skills opportunities through ChildFund programs. A total of 180 youth were supported with startup tools while 339 (158 females and 181 males) were supported with IGA. the monitoring assessment conducted in 2016 revealed that 48 percent of youth from our supported households are work ready. Worth noting is that 84 percent do apply life skills to their practices. The program benefited 3,394 youth (1,914 females and 1,480 males) who underwent medical check-ups and health education on HIV and SRH as an integrated package. ChildFund Uganda enabled respective District Health Educators to meet peer educators regularly (on a quarterly ba- sis) to share and learn better ways of improving the community-level provision of SRH services (awareness creation). Through this, 8052 youth were equipped with knowledge on SRH. As a result, 78 percent of youth in our supported communities report having access to SRH services within the community where they live. Relatedly, 1,738 youth (975 females and 763 males) received sensitisation sessions on child protection and gender-based violence while 1,235 youth and parents (572 females and 663 males) were equipped to dialogue on issues relating to sexual reproductive health in their families and communities. To promote leadership skills development among the youth, 585 youth (192 females and 393 males) actively participated in the youth parliament advocacy events last year. According to ChildFund’s internal monitoring assessment, 41 percent of the youth in the supported communities report that they are engaged in community-level civic life or decision making. Eight community dialogues on Child Protection were conducted in each ChildFund-supported community in the Kiryandongo and Masindi Districts. The dialogues were facilitated by district community development officers. In total, 1,209 (Male 662, Female 547) community members (parents and duty bearers) were engaged. The duty bearers understood their obligations and right holders understood their rights, roles and responsibilities in the quest to protect children. With support from the respective district Probation and Social Welfare Officers, 2,283 local government councillors, opinion leaders, teachers, caregivers and parents were oriented on the Children’s Act 2016 and child protection legal framework. In addition, 951 leaders and caregivers in Bugishu sub region, 790 in Kiryandongo and Masindi; 109 in the Acholi sub-region and 433 in the Kyankwanzi, Wakiso and Luwero Districts were reached. A total of 14,050 Children and young adolescent 6-14 (school going age) and their caregivers were sensitised on child protection and gender-based violence. Of these, 1,083 were in the Busia District, 3717 in the Lango sub-region, 750 in Masindi and Kiryandongo, 1,598 in the Mt. Elgon sub region, and 6,356 in the Teso sub-region. Harmonising and aligning our M&E framework for tracking Implementing partner (IP) program effectiveness. Thirty percent (235) of supported VSLA groups (with 4,423 female and 2,041 male members) are registered in the global Savings Groups Information Exchange (SAVIX) database developed by Bill and Melinda Gates and MasterCard Group saving value recorded last year stood at 672.8 million shillings, with return on saving of 17.7% yielding a total profit value of 119.1 million shillings (SAVIX MIS, 2017). Cash transfer to destitute households targeted for economic strengthening including management of DFC under sponsorship has been made more easy and transparent with the help of mobile money transactions. Transforming management of staff travel advances through mobile money modality has also paid off positively despite few challenges of cross-network transactions. Agriculture is the most reliable source of income for rural communities and it remains the backbone of Uganda’s economy, accounting for 25.3 percent of the country’s GDP in 2013. In line with this and through numerous agricultural livelihoods interventions, Child-Fund supported households to expand their acreage and enhance yields and storage for food security and income. ChildFund Uganda provided farmers with improved, fast growing seeds, farm equipment, training and facilitated peer to peer support and learning. As a result, many households have formed groups through which they cultivate their lands, grow crops and harvest higher yields than was the case before. 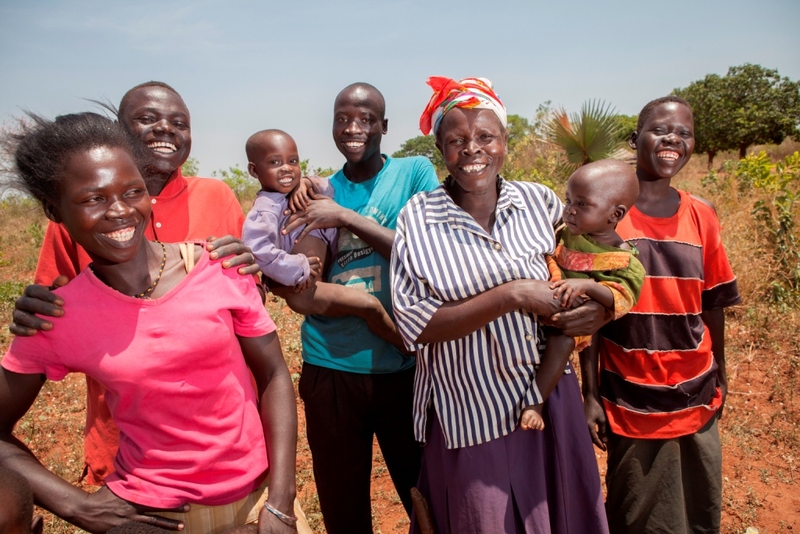 Families now have more food to eat and surplus to sell so they can take care of their needs. During the FY17, ChildFund Ireland implemented the Irish Aid funded Communities caring for Children Project (CCCP) focusing on ECD and strengthening of the child protection systems in Kiryandongo district. To improve parenting knowledge and practice of caregivers, 6,139 parents and caregivers (2,696 females and 3,443 males) were trained in good parenting and child care practices. To improve school readiness, four ECD centers were constructed while 42 ECD caregivers trained on ECD learning framework. The project continued to support 44 VSLA groups in the Kiryandongo District with basic literacy skills training, micro enterprise Development Initiative capacity building, including other social support services. A significant grant from ChildFund Korea to accelerate malaria control through access to improved diagnostics, treatment and vector control in the Kiyuni Community, Kyankwanzi District which has seen 38 Village Health Teams from the Kiyuni Community trained on using Malaria rapid diagnostic tests (RDTs), home-based management of malaria and provided with kits for work- bags, gum boots, rain coats, umbrellas including drugs and supplies. The program also procured and distributed 7,050 insecticide treated mosquito nets within Kiyuni community. A total of 1,158 community members were sensitised on home-based management of fever and use of insecticide treated nets to pre- vent malaria. Over 1,080 radio messages were facilitated in FY17 to create awareness in Kyankwanzi on malaria prevention and treatment. A two year child protection project funded by the German Government, through ChildFund Germany, to strengthen child protection systems from community to district level as well as the regional and national level. The project achievements during the year include: training 50 Trainers of trainers (TOTs) on child protection, supporting 10 schools to formulate a Child Protection policy, training 129 teachers across the district on child protection, providing child rights- related information to 1,585 children in addition to an advocacy engagement meeting with 50 members of Parliament to raise awareness and advocate for increased resource allocation for child protection in the country. A Two year implemented in the Kitgum and Agago Districts. The project goal is to improve child wellbeing through promoting stronger community-based child protection systems. The project has trained 281 community leaders, 172 Child Protection Committees and 101 duty bearers on child protection, reporting and referral process. To strengthen inter linkages and referrals, 55 child protection structures operating within the project supported sub counties were mapped. In addition, 350 service providers (132 females and 218 males) were identified and trained on psycho social support, referral pathway, counselling and guidance skills. A total of 2,295 community members were sensitised on violence against children prevention, response and referral mechanisms. To promote child friendly schools/safe school environment, 20 supported schools received orientation on safe school through school child rights clubs and drama groups while 600 school-going and 1,749 out-of-school children and youths were reached through dialogues and sensitisation sessions. You can see a breakdown of ChildFund Uganda’s expenses further below. 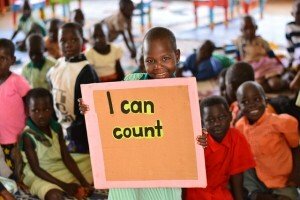 While significant progress has been made to increase access to primary education in Uganda, there is a big challenge with the quality of education which manifests in school dropout rates of over 50 percent. The high rates are largely attributed to insufficient school infrastructure (furniture, classrooms, latrines), lack of girl-child friendly facilities at school, teenage pregnancies, lack of meals at school and poor teacher motivation. In Uganda, youth unemployment is high, labour productivity is low and the labour market is fraught with great inequalities. Although efforts have been made to implement the national youth employment policy, strength- en the labour market information system, establish non-formal skills development targeted at women and youth, and to improve access to finance, the progress is very slow. Although there is a considerably good policy and legal environment for child protection, there has been very inadequate implementation of this to curb abuse and violence against children, including neglect. 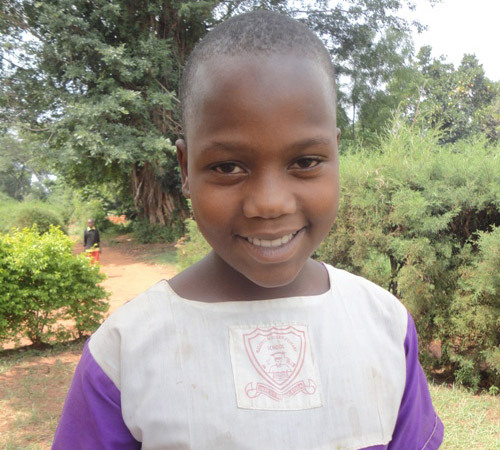 Paul Mudhasi is a former sponsored child from Kamuli Community in Eastern Uganda. He is the second born in a family of four children. Paul’s family entirely depended on subsistence farming and did not have money to cover for their basic needs. “Kids at school made fun of my brothers and me because we had a few torn clothes which we shared,” he recounts. Paul dropped out of school in primary four because his parents could no longer afford to pay his school fees. Paul’s life took a turn for the better in 1985, when ChildFund enrolled children from his village. “I remember being mostly excited about going back to school. I had received books and pens and a school uniform and nothing was going to stop me. My sponsor Holly from Canada used to inspire me through the letters he sent. I used to wait so eagerly for his response whenever I wrote to him. He always reminded me to work hard at school,” narrates Paul who now holds a diploma in primary education from Kyambogo University and is a teacher at St. Pius Primary School, his former school. Paul’s parents were trained in modern farming and received improved coffee, oranges, beans and maize seeds. This ensured that his family had enough food at home. His mother sold the excess at the local market and the money she earned was what the family used to take care of all their other needs. Without being sponsored, perhaps Paul would never have found his way out of poverty. Sponsorship restored his confidence and his sponsor encouraged him to pursue his dream of becoming a teacher.